This session took place on June 9th. Markus began his career at NYU, and later lectured at Humboldt University in Berlin, where he discovered his passion for teaching. Following his time as an academic, he led the development of online marketing and web infrastructure and managed the online and systems teams at music software company Native Instruments for 6 years. 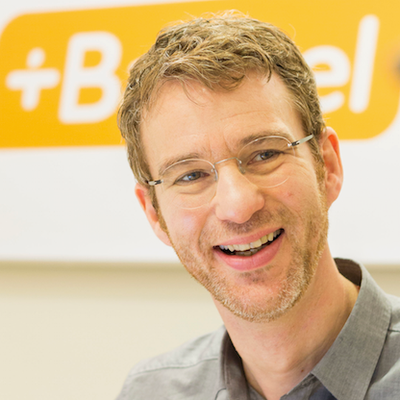 Coming back to learning and teaching, he founded Babbel with three others in 2007. He has taken an unusual route from academia to the tech industry and later entrepreneurship. Independent study, however, has been the constant theme uniting these disparate paths. Markus’s passion for autonomous learning was sparked by teaching himself programming in 1984 on an Olivetti L1 M44 computer in order to fund the purchase of his first drum kit. As a result of these experiences, he views continuous learning as an approach to life. If you want to know more about this, drop some questions! and Markus is also going to be giving a talk at TOA (https://toa.berlin/).